Kids that battle the demogorgon (and demo dogs) together, stay together. So it should be no surprise that the Stranger Things kids together at the Golden Globes is maybe one of the most precious and pure things we’re going to see all night during the 2018 telecast of the awards show. It seems crazy that just a year ago, we were all just learning their names (and their social handles), and now a year later?? 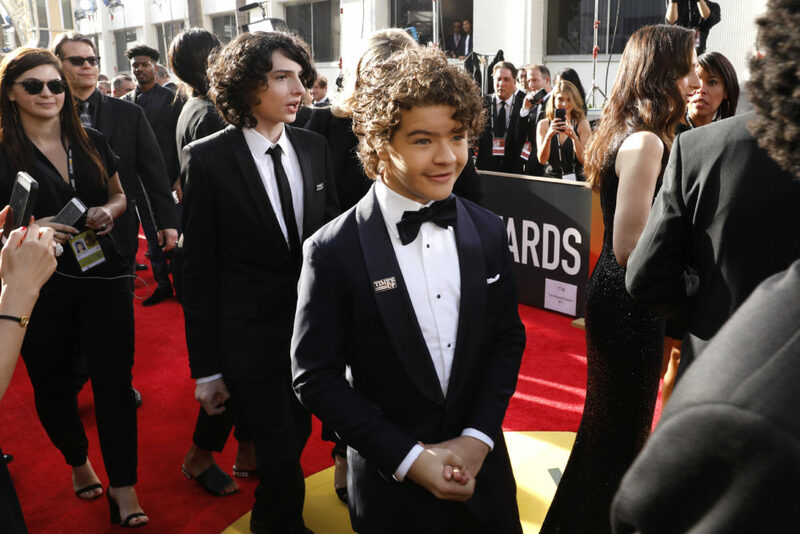 This group is rocking the red carpet like pros — but one of the Stranger Things kids is suspiciously missing. It’s not like the end of Season 2 saw Eleven sent back to the Upside Down, so no, we’re not really sure where Millie Bobby Brown is right now — but it sure looks like she’s not at the 2018 Golden Globes. At least, not yet. There’s still a chance she could take to the carpet and completely rock it like she has so many times in the past. 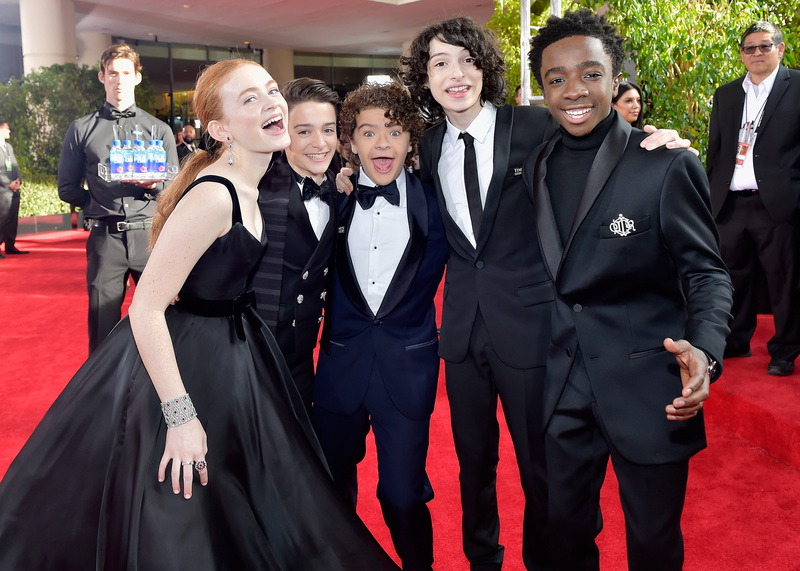 Even sans Millie, the rest of the Hawkins, Indiana kids — Finn Wolfhard, Gaten Matarazzo, Noah Schnapp, Caleb McLaughlin, and Sadie Sink — managed to find one another on the carpet, and of course the group snapped some pretty amazing pictures together. The group is all clad in black (sans Gaten) to support the Times Up movement, but he’s still showing his support with a #TimesUp pin on his lapel. The kids aren’t the only ones representing the Netflix original series on the red carpet. The show was nominated for Best Television Series — Drama, and along with that, Sir David Harbour also snagged a nomination for Best Performance by an Actor in a Supporting Role in a Series, Limited Series or Motion Picture Made for Television. While we’re rooting for him to take home the trophy, don’t forget that if he wins, Joe Keery has threatened to shave his beautiful hair — so this situation is a win-lose for us.